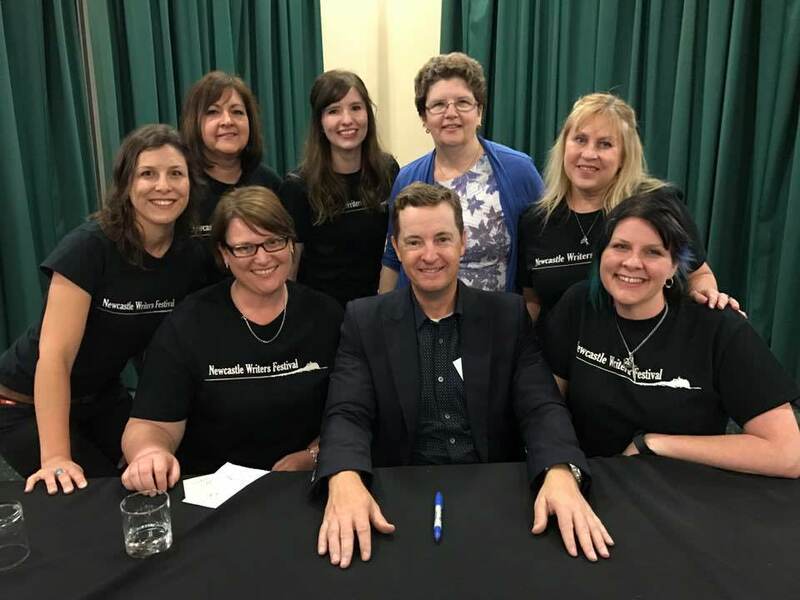 What a fantastic event with Matthew Reilly. He was such a warm and humble guest. After his chat with festival director Rosemarie Milsom during which he revealed there will be three more Jack West books, Matthew signed books and appeared in photos for 90 minutes. He said that while he may not be the best writer, he is the hardest working writer. And we think he is also one of the most down to earth. Matthew is pictured here with some of the festival’s wonderful volunteers and their dedicated coordinator Sheree Kable. Thanks to everyone who came along and supported this event, and to Newcastle City Council and MacLean’s Booksellers.